In a world in a constant need for development, preserving biodiversity is a daunting task for both governments and NGOs. The centerpiece of successful biodiversity conservation is ensuring cooperation among countless actors involved in the management of protected areas. 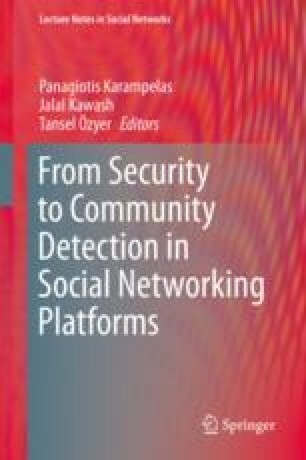 Social network analysis is a suitable tool for securing essential information for interactions during the management process. To contribute to the debate in the field of governance of protected areas, we illustrate an approach in investigating management of Natura 2000 sites, by considering two real-world management settings in Romania. We evaluate the characteristics of two ego-networks established for the management of two European Union Natura 2000 protected areas in Romania Iron Gates Natural Park administrated by public body owned by state and Lower Siret Floodplain administrated by a regional NGO. The networks were created around administrative bodies of protected area (ego), and include actors directly connected to the ego. After evaluating the most common ego-network metrics that demonstrate the characteristics of each network, we analyzed the strong ties by using Simmelian ties within protected areas management ego-networks and clustered the embedded links in Girvan–Newman groups. The findings suggest that the ego (administrative bodies of protected area) has a critical role in bridging other management actors. The paper tries to identify models of management control by comparing two ego-networks and showing how well connected the administrative bodies of protected areas are. The study provides insights regarding several means to improve the cooperation of environmental conservation in Natura 2000 areas. We would like to thank Iron Gates Natural Park and Lower Siret Floodplain administrations and Iulia Viorica Miu for the data collection process, and to Edward F. Rozylowicz for proofreading the manuscript. This work was supported by a grant of the Romanian National Authority for Scientific Research, CNCS—UEFISCDI, PN-III-P4-ID-PCE-2016-0483 (http://www.uefiscdi.ro).